For many creative writers, submitting for publication can feel like a full-time job — the eye-straining hours of tedious research, the endless tinkering with query and cover letters, the formatting, proofreading, tracking open submissions and responses, the waiting, the waiting, the waiting, and then, after all that, the inevitable rejection letters. Is it any wonder that many writers would rather get a root canal than make submissions? Those writers who barely have enough time to write have trouble carving out time for preparing submissions to agents and editors. That's where Writer's Relief comes in. Writer's Relief, an author's submission service established in 1994, helps creative writers submit their work to the best-suited markets. If Writer's Relief had a family coat of arms, it might say: "We do the paperwork; you do the writing." At Writer's Relief, short prose and poetry are targeted to mid- to upper-tier literary journals; book queries are targeted to literary agents (as opposed to publishers, who generally refuse to consider un-agented submissions). Ronnie L. Smith, founder, and president of Writer's Relief offers tips on what to look for in a submission service: "A good submission service does not offer a one-size-fits-all approach. Targeting must be personal to be accurate. We evaluate voice, topics, style, format, word count, reading dates, and much more in order to identify the agents and editors who will most appreciate a given submission." Writer's Relief's Full Service allows writers to clear their desks of paperwork and focus on their craft. Writer's Relief does all the legwork of preparing a complete submission packet (targeting 25+ markets); clients then send the submissions out from their homes. Clients have ranged from promising new writers to major award winners and best sellers. Many clients are academics or other professionals who see the benefit of having strong publishing credentials. The staff is comprised of talented motivators, organizers, writers, proofreaders, and people who have publishing experience. Writers join the Full-Service program by invitation only. The Review Board looks for writing that is competent and appropriate for submission to industry professionals. Consideration is free, confidential, and without obligations. Because literary journals are rarely able to pay their authors, and because there is no guarantee a literary agent will sell a book, Writer's Relief clients pay flat fees, not commissions. The company does not guarantee publication but does promise to make the submission process less stressful and more efficient/effective. "We're very up-front about the fact that, for the most part, we don't do anything writers couldn't do on their own if they had all the time and resources," says Smith. "But because making submissions is our business, we're going to be more focused on and dedicated to submitting than our clients would be if they were working alone. It's our job to save them time and to keep them motivated and on track." 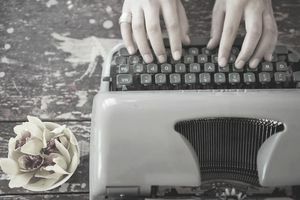 For DIY submitters, Writer's Relief offers lots of great freebies on their website, including free listings of writing contests, calls for submissions, and conferences. Their weekly e-publication, Submit Write Now!, has over 30,000 subscribers who benefit from the company's practical tips and advice. Web Design Relief, a subsidiary of Writer's Relief, helps authors create and maintain their websites. "Our clients asked us for Web design help, and we heard them," says Smith. "Serious writers need an information hub for fans and for the industry's movers and shakers. And that means a website."